Cute Doodle Speech Bubble Brushes Pack - Free Photoshop Brushes at Brusheezy! Add an adorable element to your work with this new Cute Doodle Speech Bubble Brushes Pack! Included in this pack are nine different speech bubble brushes decorated with polka dots, flowers, hearts, and bows, and four doodle brush elements. These speech bubble brushes would be perfect for scrapbooking projects, decorating your blog, and so much more. Rather have the vector pack? 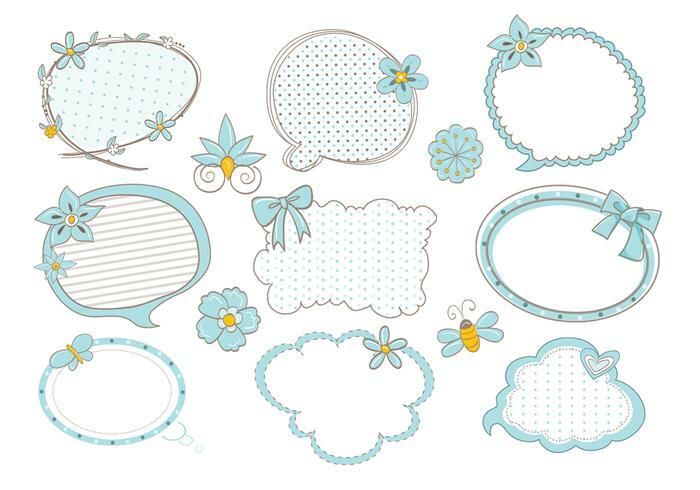 Download the <a href="http://www.vecteezy.com/ornaments/58886-cute-doodle-speech-bubble-vector-pack/premium">Cute Doodle Speech Bubble Vectors</a> over on Vecteezy!